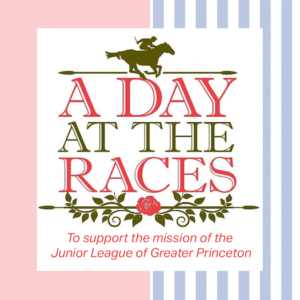 Support the mission of the Junior League of Greater Princeton at the 6th Annual “A Day at the Races” event to celebrate the Kentucky Derby. Watch the Derby on a Jumbo screen, enjoy Southern fare, wine, beer, and Junior League Juleps! Have fun playing games, participating in the Tricky Tray auction, or competing in the hat contest, all while supporting our community programs that improve the lives of women and children in the Greater Princeton area. Donate or Become a Sponsor Here! If you are interested in becoming a sponsor, purchase a sponsor package above or download our mail in form. If you are interested in donating an item for our tricky tray or auction, download our sponsorship packet. Spread the word! Share our Flyer with your friends!